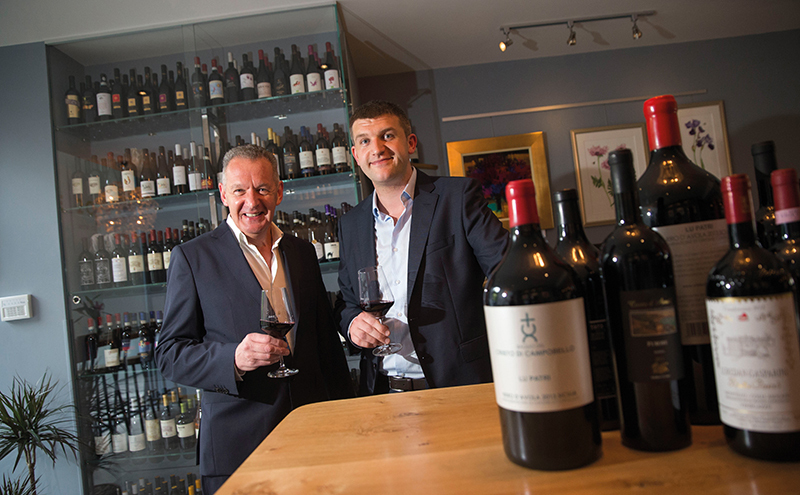 A SCOTTISH father and son team have taken a thoroughly continental approach to a new business venture in Edinburgh. One20 Wine Café, which opened at 120 Dundas Street in the capital’s new town last month, is the first stage of a two-pronged, £1.7 million project inspired by Ronnie Reid and son Kyle’s desire to cater to what they believe is a growing demand for unusual, healthier, quality food and drink from mainland Europe that can’t be picked up in supermarkets. Addressing what the Reids see as a gap in the market, the venue opens from 8am to 10.30pm, seven days a week, and serves a selection of wine, cheese, charcuterie, patisserie and light dining options as well as luxury Italian coffee. The appetite for this, the Reids reckon, is demonstrated by the rising number of programmes, both on TV and the internet, that specialise in quality food and drink, while rising numbers of Scots travelling to European destinations has given them more discerning palates. To help them deliver the offer the Reids recruited Italian chef Andrea Bianco and sommelier Giovanni Mariani, who will host regular wine tastings from the venue’s list of over 250 wines. The Italian influence on the wine bar also extends to its interior as final touches on the venue were carried out by design and construction specialists based near Venice; the bar also boasts glass chandeliers from Murano. “We have travelled across Europe to source fantastic, quality products to sell at One20 and we are excited to bring them to Edinburgh,” said Kyle. “We buy straight from the producers and sell directly to our customers. And being reasonably priced is central to the Reids’ offer, added Kyle. “Our philosophy is all about quality and affordability,” he said. The next phase of the development will see the construction of a two-storey food and wine boutique next door, where customers will be able to buy products they have sampled in the bar. The boutique is expected to open before the end of the year.